Medium copper color; strawberry, ruby red grapefruit, honeysuckle on the nose; watermelon, strawberry, raspberry, cherry, nectarine, peach, vanilla on the palate. Dry; made with free run juice from whole clusters; full bodied for a rosé; fruit-forward with nice fruit sweetness in the mid-palate and finish. Fresh, delicious. Restrained tannin, zippy acidity. In whole cluster winemaking, the whole clusters, including the stems, are placed in stainless steel tanks filled with CO2 gas to exclude excess oxygen. 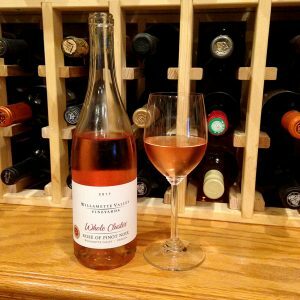 This is only made with free-run juice, thus a light exposure to the stems and skins, which holds back on tannins and makes for an intriguing rosé that has substantial body and delicate, nuanced fruits. 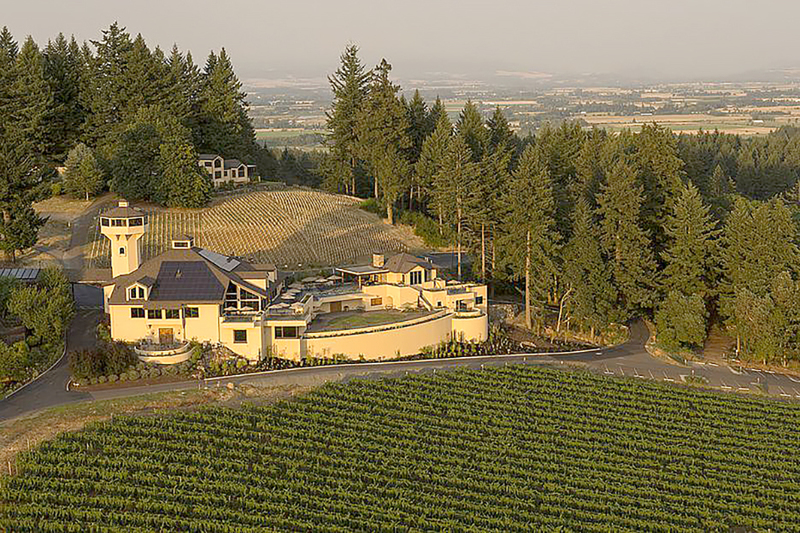 Willamette Valley Vineyards is one of the Oregon’s largest operations, but WVV is not a wine factory. They are not focus-group driven to fill a demographic niche on a supermarket shelf. WVV consistently delivers distinctive quality and value. The winery also is environmentally responsible. Since 1997, WVV has been certified sustainable through LIVE (Low Input Viticulture and Enology—the international standard for sustainable agriculture) and Salmon-Safe. 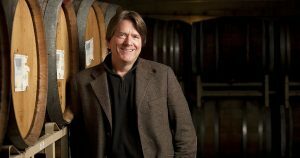 In 2011, Salmon-Safe recognized winery founder Jim Bernau with the first “Hero of Salmon” award for implementation of a high-impact Salmon-Safe “Sip-Save” campaign in print, retail, web, and vehicle wraps. Delicious wines, responsible winemaking. Nice. In another initiative, WVV is a pioneer in “raptor rehabilitation” of barn owls and kestrels (North America’s smallest falcon). Washington has a steady supply of barn owl and kestrels because the birds nest in places disrupted by normal farming activities (hay stacks, for instance), and the Cascades Raptor Center and other agencies rescue hundreds of wild chicks. WVV places bird houses in trees around the vineyard to help control the mice population. Mice are a pest in vineyards because they burrow and harm root systems. Barn owls are voracious mice eaters, consuming four or five a night. Owls primarily hunt by sound, making them super mousers even on the darkest nights or over ground covered with snow. WVV’s embrace of organic farming means there is better chance for the birds to avoid chemicals used in conventional farming. As many of you know, I have a place in my heart for grape farmers who embrace Mother Nature instead of the chemistry lab. I think you can taste the difference in the wine, but even if you can’t, it makes you feel better drinking it. Willamette Valley Vineyards delivers on responsible agriculture and quality wine. Jim Bernau also is innovative in ownership: he believes in community-based funding. 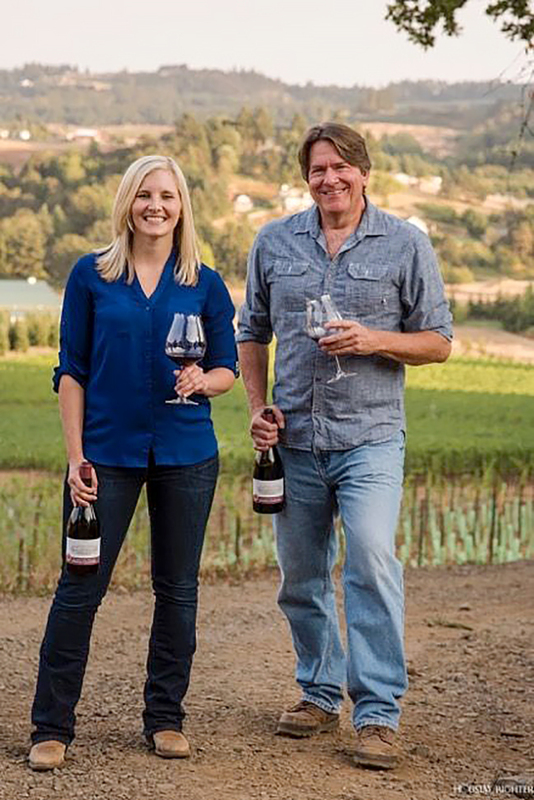 Willamette Valley Vineyards has more than 16,000 owners. 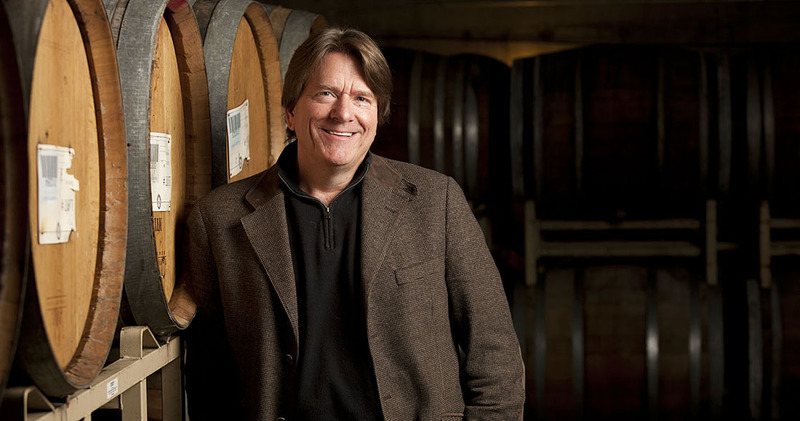 The website notes: “The winery’s Common (WVVI) and Preferred (WVVIP) are traded on the NASDAQ. 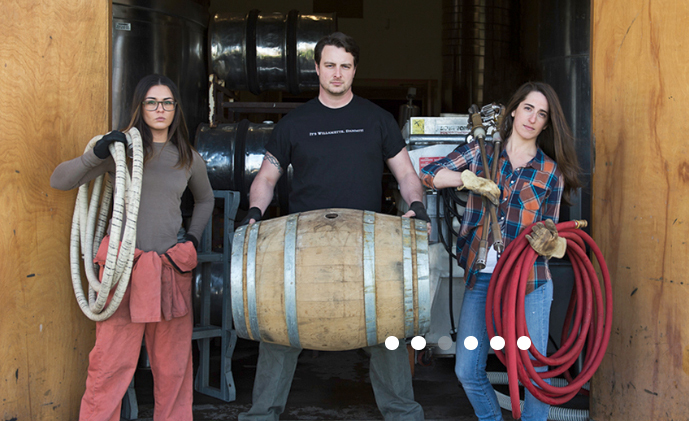 Owners receive invitations to exclusive winery celebrations, annual dividends, savings on wine and are a vital part of telling the Oregon wine story.” You can visit the website to discover how you can participate in the future.